In our last post about SaltStack, we introduced the concept of grains. Grains are bits of information that the Salt minion can pull off the system it’s running on. SaltStack also has the concept of pillars. Pillars are sets of data that we can push to the minions and then consume in state or managed files. When you couple this with the ability to template with Jinja, it becomes VERY powerful. Let’s take a quick look at how we can start using pillars and templates. In this case, we’re telling the minion to pull it’s ‘host’ grain into the template. This would return the exact value of the host (not the FQDN) but could be used to pull any grain that’s defined. As you can see, this makes pulling nested data out of a pillar very straightforward. When you’re deploying your config files, you want to build a generic template that can be used on each host. 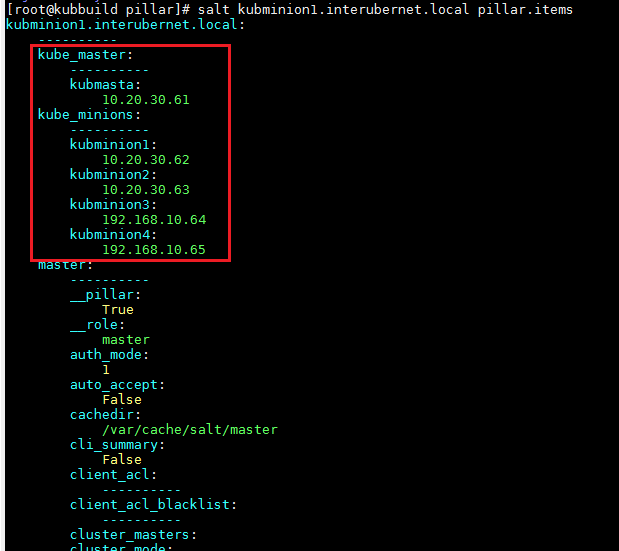 The above syntax tells Salt to pull the value of ‘ipaddress’ from ‘kube_hosts:<the host you’re running on currently>’. So we can use grain data to pull in more specific data from the pillars. # The default GCE images have ip_forwarding explicitly set to 0. # Here we take care of commenting that out. Above you can see that they’re using the data from the grains to determine things like config file location and what packages need to be installed. So again – this was just a taste, but I hope you’re starting to see that all of these components combine to make SaltStack a very powerful tool. It works perfectly. I don’t know if it’s a version mismatch or just the way salt is parsing the pillar but at any rate it’s working with the second way of writing. Thanks again, much help!